Kentucky is a state of extreme contrasts. It has some of the highest mountain peaks of the Appalachian range, as well as some of the lowest altitudes where the Mississippi flows; it is the birthplace of both the haute monde of the Kentucky Derby and the gun-toting Hatfields and McCoys; it is rural and urban in almost equal measure. Moreover, it stands precisely in the middle of the fifty states in population count and is close to the top in the number of people who have lived there since birth. In other words, “My Old Kentucky Home” is a true theme song to its four million residents. Kentucky is one of four states in the nation that is considered to be a commonwealth. It was the fifteenth state to join the Union. Also, Kentucky is the thirty-seventh largest state by land mass and the twenty-sixth most populous. 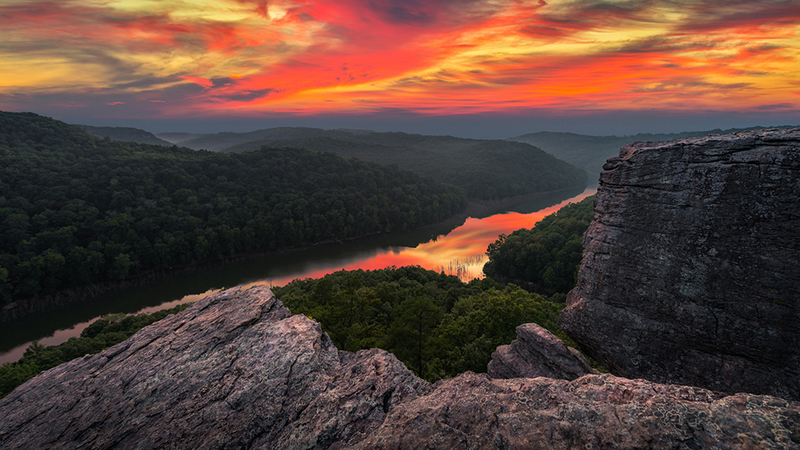 This state is characterized by extremes with some of the highest mountain peaks in the Appalachians to some of the lowest altitudes by the Mississippi River. Many people are born and live out their lives in this state, and they're content with the rural areas, bigger cities, and suburbs. Local living in this state depends on where you choose to live. The cost of living also has extreme ranges with the average cost of living being below the national average up into the millions of dollars. People have the luxury of choosing to live a more laid-back life in smaller communities and rural areas, or they can live the more fast-paced lifestyles, the larger cities bring. People move to Kentucky for the varied job opportunities, the lower cost of living, and the lower housing costs. The cities have a broad range of career choices including technology, healthcare, education, and various businesses and startups. You'll get a small town atmosphere and feel in almost every city you settle in, and there are always new attractions to discover. People move out of Kentucky to try and find a faster-pace that can come with larger cities. They also move to find more high-paying job opportunities. Although there are jobs available in Kentucky, they may not be as high profile as recent graduates or working professionals want, and this causes them to move to other states in search of these opportunities. You may also be subjected to slightly higher taxes, and this is a drawback. People who seem to find Kentucky the most attractive are the older generations who are looking for a place to finish out their careers and retire. The slightly slower pace of life seems to appeal to them, and the lower cost of living in a lot of the state helps to ease any anxiety they may have about affording a decent living. The state of Kentucky is known for its horse racing, baseball bats, and whisky production. Less well known is a very affordable housing market. When combined with a low property tax, it is one of America’s best values. Let’s check it out. Leading up to the housing market crash, the Kentucky real estate market was on a solid climb. The state's real estate market started to show signs of instability in the middle of 2007 when it had a few small peaks and drops. This pattern led to the first slight peak in 2008 that swiftly led to a short drop and another peak in early 2009. It is important to note that this particular housing market fared very well during the housing market collapse, and it didn't experience the typical steep drops that the majority of the nation did. Once the market peaked in 2009, it began an easy decline until the start of 2010 when it had another slight peak. This fell away again, and the market continued its downward progression until it hit bottom in the middle of 2011. It stayed low until the middle of 2012 when the market saw a slight uptick. This continued until the start of 2014 when the market saw a slight drop. Since 2014, the market has surpassed the peak levels it was at before the market crashed. Currently, the real estate market is doing very well, and it continues to rise. Kentucky has significantly lower real estate prices compared to the American average. Even in urban areas like Louisville, prices are still below national values. Rural areas have even lower prices. The average selling price in these regions is just $69,000, and most of the state is composed of rural areas. Urban areas have a median price of around $133,000. The national average is $173,000. Despite the state’s low median property values, there can be significant variation from one neighborhood or region to the next. Houses can be found selling for $10,000 up to $5,000,000 for the state’s most luxurious properties. Florence, which lies in the northern part of Kentucky and is part of the Cincinnati metro area, has the highest median price in the Bluegrass State with a figure of $213,000. According to research conducted by the Kentucky Association of Realtors, home sales in the Bluegrass State are set for a record number in 2017. There will be more than 40,000 homes sold. The property group estimates this figure to be a 3.1% increase compared to the previous year. The number of homes for sale in Kentucky on a month-to-month basis has been somewhat unpredictable compared to previous years. Some months and quarters, the number of homes for sale has been up and other times it is down. The Kentucky Association of Realtors also estimates that homes in the Bluegrass State are selling faster than usual. The number of days the typical home is on the market has decreased to 108 days, from a previous figure of 120. By the time the 1990s came around, the Kentucky real estate market was already on a steady increase that continued with minimal drops or peaks. There was a minor peak in 1994, and again in 1997. The end of 2000 brought another slight peak, and the market continued its upward trend. By 2003, the market was showing slight signs of having problems because it saw several small peaks and drops, and this deviated from the previous trends. This pattern continued until 2007 when the housing market began to implode. Like many other states, Kentucky was faced with mortgage problems during the Great Recession of 2007. The situation wasn’t as bad as it was in Arizona or Florida, but foreclosures did increase in the Bluegrass State. They were especially a problem in the central portion of Kentucky, according to the Lexington Herald-Leader , a local newspaper. Most homes that were foreclosed on were properties under $150,000, although some luxury houses near a million dollars also ended up on the auction block. Some new homes had not even been finished when they ended up with no owner except the bank. Many of the homes foreclosed on in Kentucky had adjustable-rate mortgages that started with an interest-only option. In comparison, the Louisville and Jefferson County Metro had a slightly less smooth historical trend. While the market was starting to climb, in 1991 and 1993 this market saw peaks and drops. In particular, 1994 was an unstable year, and it saw a steep increase in the housing market. This steep increase leveled out and continued to climb until 2001, where the market jumped slightly. This jump leveled out, and by early 2005, the market was starting to show signs that it was in trouble. It had several drops and peaks that were out of the ordinary for the historical trends, and this continued until 2008 when the market peaked. It started to fall with one more peak in mid-2009 before it gradually went on to hit rock bottom in 2011. It didn't really start to recover until 2014, but it's been increasing ever since. After the Great Recession the number of foreclosures in Kentucky finally reached a bottom in 2013, but then spiked in 2014. The figure reached a peak again in early 2016 and then began dropping. According to RealtyTrac, a real estate watcher that monitors mortgage delinquencies, the Bluegrass State today has a foreclosure rate of approximately 1 out of every 3,040 homes. This is significantly better than America’s average of around 1 out of every 2,000. Despite the state’s problems with foreclosures during the economic crisis, home values did not suffer too significantly. Market research shows that the state’s home prices were fairly stable during the property debacle. For example, there was a small dip in Louisville’s home prices in 2009, but the city bounced back the next year and has gradually risen ever since. The state average hit a bottom in 2012 and has been rising since 2013. High affordability across the state has led to higher ownership rates within the state than across most of the nation. In 1984 the homeownership rate across the state stood at 70.2%. It bottomed at 64.9% in 1989 before rising to a peak of 75.1% in 1998. Ownership has gradually declined since then to a rate of 67.9% in 2016. Kentucky is home to several cities that have been ranked as some of the fastest growing in the nation. The local economies are strong, and they can provide excellent work opportunities for a wide variety of people who are looking to further their careers. The largest and most popular city in the Bluegrass State is Louisville, with 616,261 residents as of 2016. This population makes Louisville the twenty-ninth largest city in the United States. It is part of the larger Louisville/Jefferson County, KY-IN Metro Area and together, they have a combined population of 1,283,430. This city is also one of only two cities in the state of Kentucky with the first-class designation. Louisville is a historical seat, and it has been the nominal seat of Jefferson County since 2003. Louisville was described as “America’s Most Livable Large City” by the US Council of Mayors. 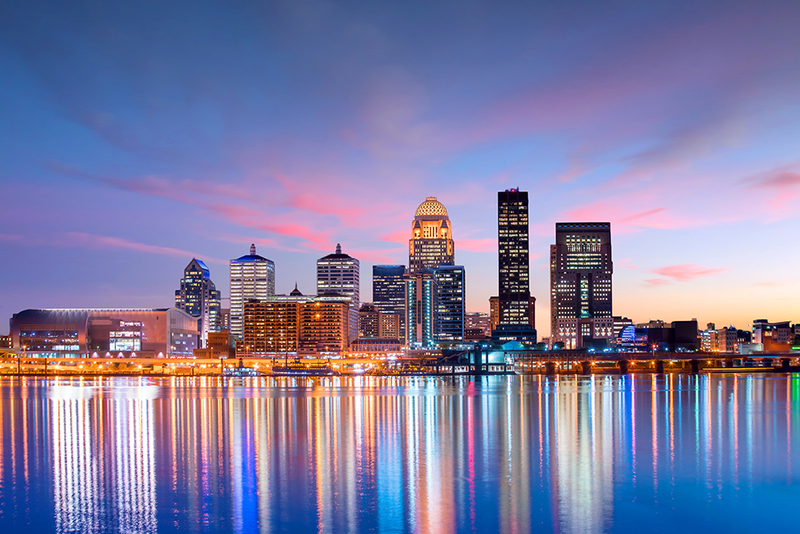 Louisville calls itself “Possibility City” and boasts of its small-town warmth and hospitality in the midst of full scale urban amenities and a cost of living that is considerably lower than the national average. This city has a strong economy that is largely based on several large organizations and companies that deal with the industrial sector. However, the city has long had historical ties to the shipping industry, and this continues to this day with Louisville ranking in the top ten largest inland ports in the nation. Additionally, Louisville has quickly become one of the major leaders in the healthcare and medical services sector. It has also been ranked as one of the top cities to start a business, and the downtown district has a thriving small business, boutique, hotel, and restaurant scene. Louisville is located in the humid subtropical climate zone, and it has four distinct seasons throughout the year. The middle of March usually brings the spring-like weather with warmer temperatures, and this continues until Mid-May. From the middle of May until the middle of September, residents experience the summer months. Fall begins in the middle of September and typically runs until the end of October. Spring and Fall commonly bring severe temperature fluctuations with heavy rain, thunderstorms, and tornadoes. In the summer months, residents can experience temperatures as high as the low 100s, and the humidity is also high. In comparison, the winter months tend to bring temperatures that stay around the mid-30s with snowfall, ice, and windy conditions. There are many annual festivals, productions, and cultural events that take place in downtown Louisville every year. 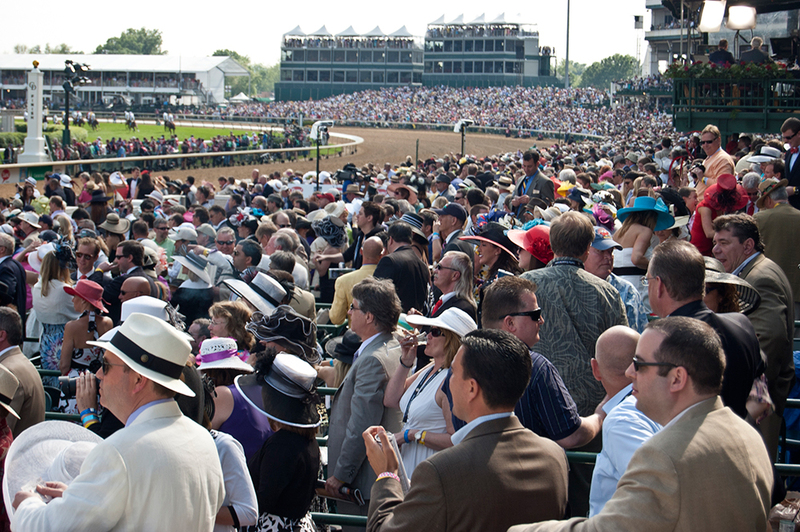 The first Saturday in May kicks off one of the more well-known events as this city is home to the Kentucky Derby. Another well-known event is the biggest fireworks show in the nation; the Thunder Over Louisville. You'll also get to experience a thriving Indy scene with dozens of small film festivals and events like the Forecastle Festival. Finally, for anyone who is interested in history, Louisville has the infamous Museum Row with several attractions and museums to visit all in one area. Named after the ill-fated Louis XVI, Louisville today has many pleasant attractions besides Churchill Downs. These include the Kentucky Center, which hosts many concerts and plays year round. 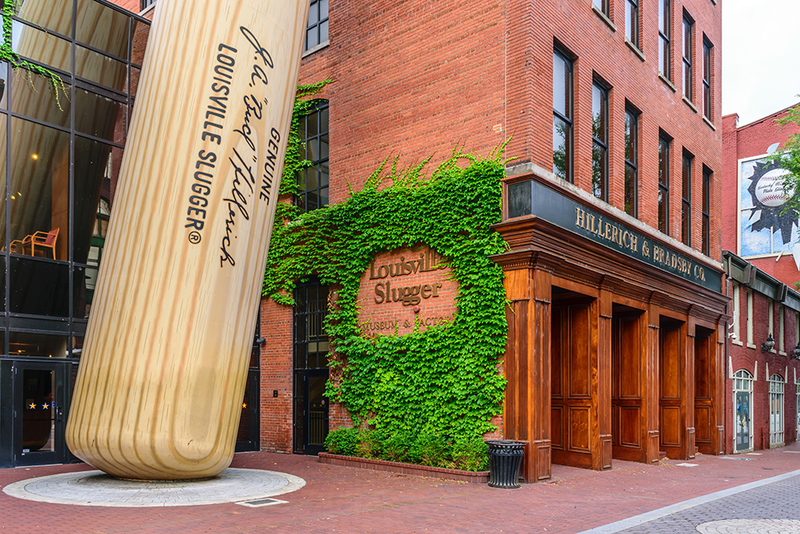 The Louisville Slugger Museum & Factory is also a popular attraction. It highlights the history of the Louisville Slugger baseball bat. Also not to be missed is the Muhammad Ali Center. The boxer was a native of the city. For college students, there are several colleges and universities to choose from all over the city. There are six four-year universities, one two-year community college, and a handful of other smaller business and technical colleges to attend. The University of Louisville achieved the world's first artificial heart transplant, and the Simmons College of Kentucky is also located here. For smaller colleges, students can attend the Jefferson Community and Technical College or the Sullivan University. Louisville’s economy is driven by manufacturing. It has two Ford factories and one for GE appliances. The city also is home to many whiskey companies. Approximately one third of all American bourbon comes from Louisville. Humana, a large health insurance company, calls the city home. Louisville has a diverse employment sector, and this reflects on the largest employers. The largest employer in Louisville is the United Parcel Company (UPS) with over 9,000 employees. The second-largest employer comes from the manufacturing sector and the Ford Motor Company currently employs over 6,000 people. The third-largest employer is the headquarters to the appliance company GE Appliances with over 4,500 employees. The local economy is strong in Louisville, and the unemployment rate is currently below the national average. The broad range of support sectors in the economy can help to account for this. Also, Louisville is planning to add up to 33% more jobs in the next ten years. This can work to strengthen the local economy even further. For a larger city, Louisville has a relatively low housing market average price. The local median home price for this city is currently hovering around $118,400, and this represents an increase of just over 2% in the past year. The price per square foot is right around $126, and both of these prices are projected to rise another 3.4% in the coming year. The local median home price for the Louisville Metro area is right around $185,900, with a price per square foot of $122. The U.S. Census Bureau reports a median household income in the Louisville area of $47,000. Thus, we have a price-to-income ratio between 3 and 4, which is reasonable. This city features as one of the fastest growing in the country and this rapidly expanding population can cause problems with traffic congestion and a highly competitive job market. 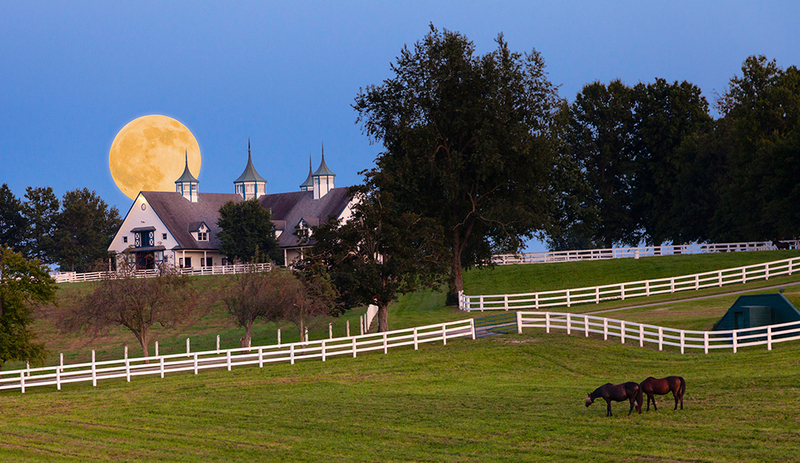 It sits in the center of Kentucky's famous bluegrass region. It was also once called “The Athens of the West”, having attracted architects and artists from both North and South who added a distinct flavor to the region. Located 80 miles east of Louisville, the city has an active arts community. This includes professional orchestras, ballet companies, and theatre groups. Kentucky’s most popular bluegrass music festival is held in Lexington in June every year. The University of Kentucky is in Lexington, and its Art Museum is one of the state’s best. The city has an important thoroughbred horse breeding industry as well. According to the director of the Center of Business and Economic Research at the University of Kentucky, “Housing remains fairly affordable, so it is possible for the typical person to purchase a home without exotic financing... and local banks tend to be more conservative. 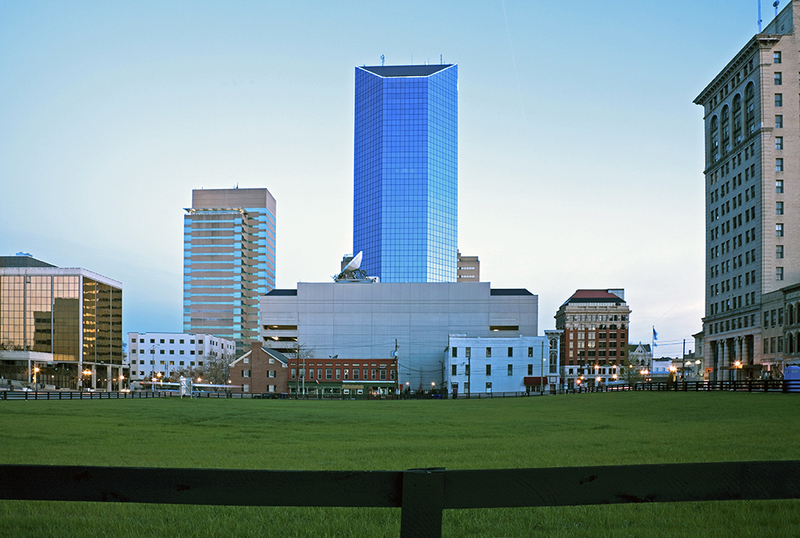 To date, Lexington has one of the most stable economies in the country. It prides itself on the diverse economic base, and it contributes the technology, manufacturing, and entrepreneurial sectors for this stability. It has a lower unemployment rate than many cities of its size, and it is home to four Fortune 500 companies. Also, education is a very large contributing factor to the local economy with the public school systems and the secondary education systems being one of the biggest employers. Several corporations in the area provide jobs. Xerox, IBM, UPS, Amazon, and Lockheed-Martin have large facilities. A Jif peanut butter factory in the region creates more peanut butter than any other manufacturer in the world. The University of Kentucky is the largest employer. Lexington is in the northern region of the humid subtropical climate zone, and it experiences hot, humid summers with cold winters. You'll experience four distinct seasons in this city with cool breezes, moderate nighttime temperatures, and no prolonged periods of heat, cold, snow, or wind. June through September are the hottest months in this area with temperatures ranging in the upper 80s to the low 90s. December through February are the coldest months, and you'll typically see temperatures in the mid-30s to the upper 40s. Additionally, Lexington ranks as one of the highest allergy areas in the nation. There are many vibrant and thriving arts centers, groups, and production companies that call Lexington home. You'll find a professional orchestra, two ballet companies, several choir companies, museums, a professional theater, and an opera program. Every year the city hosts the Mayfest Arts Fair, and this free event has ran for 23 years. If you like music, you should stop by the Festival of Bluegrass as it is the oldest Bluegrass festival in Kentucky, or you can see the Broadway-based “It's a Grand Night for Singing” music production. There are also several historical sites and museums to visit like the Aviation Museum of Kentucky. The Fayette County School District serves the city of Lexington, and it has over 16,000 enrolled students. The city is also home to two traditional four-year universities including the University of Kentucky and Transylvania University. Students also have a choice of several smaller technical colleges like the Bluegrass Community and Technical College. The largest employer in the city of Lexington is the University of Kentucky and it currently employs over 13,500 people year round. The second-largest employer is government-based and it is the Commonwealth of Kentucky with 11,200 employees. Finally, the third-largest employer comes from the manufacturing sector, and Toyota Motor Manufacturing has 8,200 staff members. Lexington has a strong economy and a strong economic outlook. The city's unemployment rate is currently below the national average, and the large and diverse economic support sectors may play a role in this. Additionally, Lexington plans to add up to 33% more jobs in the next ten years, and this can further strengthen the economy. Currently, the local median home price for this city is right around $169,800 with a price per square foot of $128. These prices represent a 6.2% increase over the past year, and they are projected to rise another 3.2% in the coming year. The Lexington Metro area has a current local median home price of $161,700 with a price per square foot of $120. These prices have increased by 6.8% in the past year, and they're on track to rise another 3.2% in the coming year. Housing prices in Lexington tend to be somewhat higher than Louisville. The median home price sits at $188,000. With a median household income of $51,000, we get a metric of 3.69. Bowling Green is the third-largest city in the state of Kentucky with a population of 65,234 people. It is part of the combined statistical area with the city of Glasgow, and the combined population is 218,870 people. This city is classified as a home-rule class city, and it holds the county seat for Warren County. This city serves as the educational hub for the south-central area of Kentucky, and it is slowly shifting its economy to reflect a more knowledge-based and technology-driven economy. Bowling Green has also become known as being one of the leading medical and commercial centers in the state. The humid subtropic climate dominates this region, and you'll experience four distinct seasons each year. The hottest months in this city range from June until August and the temperatures typically top out in the high 80s. December and January are usually the coldest months, and temperatures fall into the low 40s. In the spring, residents usually experience a moderate amount of rainfall. The city is home to several cultural attractions, events, museums, and sports groups. The National Corvette Museum draws thousands of classic car enthusiasts from all over the country. You can also pay a visit to the historic Riverview at Hobson Grove or visit the Bowling Green Ballpark and take in a game. For public education facilities, the Warren Public School District serves this city. There are also a few secondary education opportunities scattered throughout the city for people to choose from. Western Kentucky University is one of the larger secondary education opportunities this city offers, and they also have the Southcentral Kentucky Community and Technical College. The largest employer in this city is education based, and the Western Kentucky University has over 4,600 staff members. The second-largest employer is from the medical community, and The Medical Center at Bowling Green currently employs over 1,900 staff. Finally, the third-largest employer is Fruit of the Loom with 1,600 employees. The current economic outlook for Bowling Green is that it is stable. The unemployment rate is slightly higher, but it's still under the national average. There was a loss of jobs in the past year, but over the next ten years, the city is projected to add over 30% more jobs. The local median home price for Bowling Green is around $167,400 with a price per square foot of $113. This represents an increase of over 10% in the past year, and these prices are supposed to go up another 2.7%. The Bowling Green Metro area has a price per square foot of $111 and a local median housing price of $148,900. 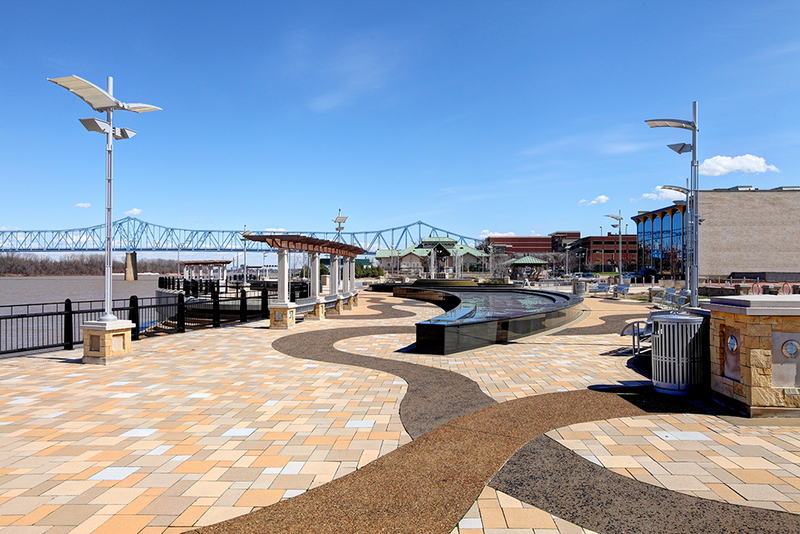 Owensboro claims the title of the four-largest city in the state of Kentucky with a population of 59,273. It is part of the Owensboro Metro, and the combined population is 117,959 people. This home-rule class city is located along Route 60, and it is the principal city of the Metro area. The Owensboro economy began by relying heavily on the manufacturing history, and this carried the city for decades. Recently, the city has begun to shift to a more healthcare and finance industry economy. Education is another large contributor to the overall health of the current economy. This city has a humid subtropical climate that has hot, humid summer months and cold, dry winter months. The temperatures in the summer months are known to fluctuate wildly from day to day, but the average temperatures from June through August are usually around the mid-80s. The winter months can get very cold with temperatures sitting in the low 20s from December through March. Owensboro was ranked as one of the best all-American cities in the nation, and there are several cultural attractions to visit. The International Bar-B-Q Festival is held every May, and this brings a lot of people through Owensboro. You can also visit the International Bluegrass Music Museum, or take a day trip and go through the Western Kentucky Botanical Garden. There are three separate public school systems that serve the city of Owensboro, and there are two private four-year colleges and one community college as well. The Brescia University is located here along with the Owensboro Community and Technical College. The largest employer in the city of Owensboro is the Owensboro Medical Health System Hospital with over 4,000 employees. The second-largest employer is U.S. Bank with over 2,100 employees. The third-largest employer is the Owensboro Public School System with just over 700 people. Owensboro has a quickly growing economy, and the unemployment rate is currently under the national average. There is a predicted job growth of just over 30% in the next ten years, and this could help to give the economy a boost. There wasn't a lot of job growth in the past year, and this edged the local economy's unemployment rate closer to the national average. The local median home price in Owensboro is $129,300 with an average price per square foot of $103. These prices have risen over the past year by 9.0%, and they are on track to rise another 3.8% in the coming year. The Owensboro Metro has a local median housing price of $129,200 with a price per square foot of $102. One of the fastest-growing cities in the Bluegrass State is Richmond. It is home to 34,652 residents and is the county seat of Madison County. It also is home to Eastern Kentucky University. Richmond sees many tourists every year, and the city is a major center for shopping and work for the south-central section of the state. Here again one will find a large gap between high and low prices for homes: anywhere from $15,000 for a three-bedroom single family residence to five million for a multi-room mansion, bringing the median price to about $165,000. 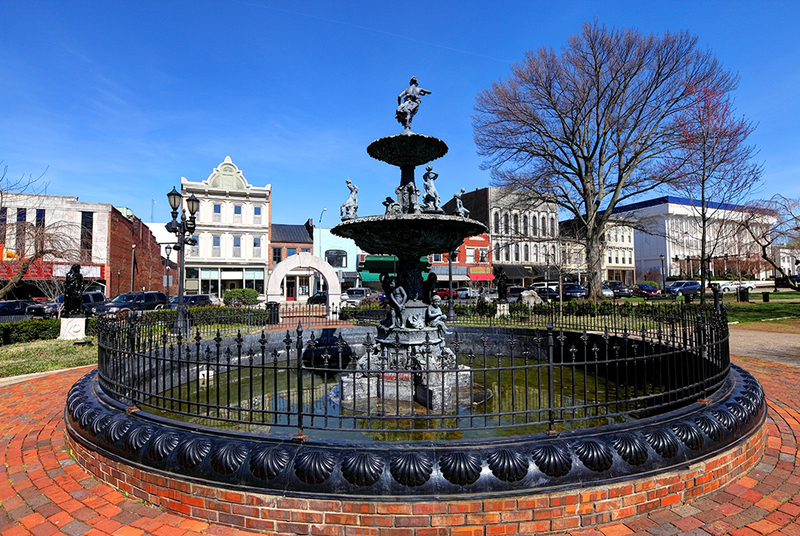 Among the many historic attractions of the region is the restored commercial district of downtown Richmond, which has been returned to its original 19th century grandeur and attracts tourists and locals for year-round visits. Richmond lies twelve miles to the south of the original settlement established by Daniel Boone in 1775. Richmond has a median household income of $44,000. With a median home price of $165,000, we obtain a price-to-income metric of 3.75. Berea, which lies 40 miles south of Lexington on I-75, has also been experiencing strong growth in population. The city is home to Berea College and has an active art scene. The area also is known for its historic buildings and restaurants. There are several employers in the region, including Hitachi Automotive Systems, Pittsburgh Glass Works, and Walmart. Berea has a median household income of $41,000. Combined with a median home value of $140,000, we realize a ratio of 3.41, the lowest in our survey. As of July 1, 2016 the state of Kentucky has an estimated population of 4,436,974 across 39,486.34 mi² yielding a population density of 112.37 people per mi² across the state. The following table highlights the July 1, 2016 populations of cities & Census Designated Places (CDP) with over 1,000 residents based on United States Census Bureau estimates. For Census Designated Places (CDP) where there was no population estimate available for 2016 the 2011-2015 American Community Survey 5-Year Estimates data was used. As of 2019 the conforming loan limit across the United States is set to $484,350, with a ceiling of 150% that amount in areas where median home values are higher. High local affordability makes the $484,350 ceiling apply statewide for single unit homes. Dual unit homes have a limit of $620,200, triple unit homes have a limit of $749,650 & quadruple unit homes have a limit of $931,600. Loans above these limits are considered jumbo loans. Jumbo loans typically have a slightly higher rate of interest than conforming mortgages, though spreads vary based on credit market conditions. Several different types of home loans are available in the Bluegrass State. Fixed-rate loans are very common, and the terms include thirty, twenty, fifteen, and ten years. The longer the life of the mortgage, the lower the monthly payment will be, which is why the 30-year loan is the most popular. The downside of this, however, is that the APR is higher compared to shorter-term loans. The difference can be as large as a full percentage point. A few lenders in the Bluegrass State offer interest-only loans, but usually only for periods of three years. These are mortgages where payments are applied only to interest for a period of time. The loan's principal isn't paid down, so the monthly payments are very low. The low monthly payments only lasts a few years, however. Typically, it's about three years. After this period, monthly payments spike because the loan's principal hasn't been reduced & the remainder of the loan must be paid off in a compressed period of time. For example, on a 3 year IO 30-year loan, the first 3 years are interest only payments, then the loan principal must be paid in full in the subsequent 27 years. When qualifying for a loan, a credit score of 720 or better can help secure a favorable loan. Some mortgage lenders in the Des Moines area have approved borrowers with credit scores around 640. The best rates and deals will be obtained with a score above 740. There is a lot of competition among lenders, and this environment can create nice perks for borrowers. For example, some banks will offer special deals on closing costs for borrowers who qualify. The cost might be added to the mortgage or the bank will pay the closing costs but add a few basis points to the APR. Given the state’s large rural areas, it shouldn’t come as any surprise that there’s also a program to help low-income families outside of urban areas. Called the Rural Housing Service Guaranteed Single Family Loan Program, this government service helps people either buy or build a house in a rural area. The federal government guarantees the loan, while local lenders are responsible for the underwriting. A mortgage with this service can be up to 100% of a property’s appraised value, and all loans have 30-year terms. These USDA loans can help people with low incomes in rural parts of the state qualify for a subsidized low-interest loan. Given the low population density throughout most of the state, most areas qualify. Residents of the Bluegrass State have a variety of government programs available to them if they need any assistance finding affordable housing. The Kentucky Housing Corporation (KHC) is a quasi-governmental agency that provides several noteworthy services. For example, KHC works with the federal government’s Section 8 Program to help low-income families find real estate. KHC has an online application form, although there may be a waiting list for Section 8 vouchers. KHC also operates a program to help qualified families get a mortgage. It does this by offering to pay a portion of the monthly payment. KHC sets minimum housing guidelines so that any home that qualifies has a certain livability standard. There is also a voucher system for homeless veterans. Called VETT (Veterans Emerging Towards Transition), the program helps former members of the military pay for housing. The VETT program does not require any particular discharge status, but it is limited to helping just 100 former soldiers. Rental assistance is also available through KHC. The state agency secures housing assistance payment contracts from the federal government and uses these to pay rent for qualified participants. Each rental property in the program is inspected annually by KHC, and the agency helps landlords rent out properties. Kentucky has a few mortgage assistance programs that can help potential home buyers achieve their dreams of owning their own home. Each program usually varies by county, so you should always check with your local office before you apply. This down payment assistance program is broken into two sections with one being the Affordable Down Payment Assistance Program and the other being the Regular Down Payment Assistance Program. The Affordable Down Payment Assistance program has a purchase price cap of $282,000 with a secondary market or up to $253,800 with an MRB. You'll get your finding in the form of a low-interest loan that is repayable over a ten-year span. This program caps at $4,500, and you have to meet the income eligibility requirements. The Regular Down Payment Assistance program has the same purchase price limits, and you get your funding up to $6,000 in $100 increments. This loan is also repayable over a ten-year span, but the interest rate is slightly higher. Kentucky's state government came up with the Unemployment Bridge Program to help eligible homebuyers retain their homes after an unexpected loss of a job or an unexpected pay or hour cut. This funding will pay the family's mortgage until the homeowner becomes gainfully employed once again. This program can provide a single household up to $15,000 to help pay the mortgage, and this includes delinquent payments as well. It has a time limit of 12 months, and it will either pay until it hits the $15,000 cap or until the 12 months are over. This funding is provided in the form of a 0% interest loan. Some cities & counties also have local assistance programs, so be sure to research those as well. Most of Kentucky has a very low earthquake risk. The western edge of the state near where Arkansas, Illinois, Indiana, Kentucky, Tennessee, and Missouri converge there is a fault line which leads to moderate to high earthquake risk. Most of Kentucky has a very low flooding risk. Here is a listing of counties with a flooding risk profile above very low. Much of the state is considered to have a moderate tornado risk, with a very high risk in the western quarter of the state & along the Indiana border. A basic homeowners policy should cover financial damages from tornadoes. The Commonwealth of Kentucky ranks as the forty-third state for property tax levels. 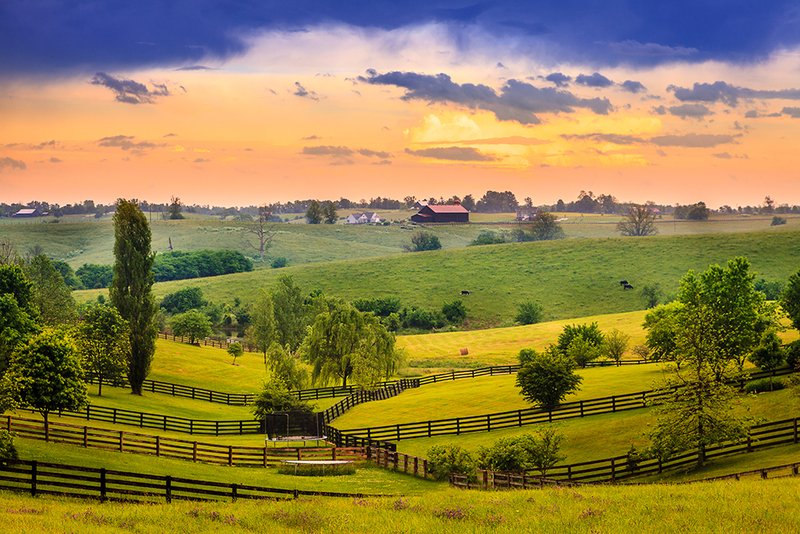 Farm land and residential properties are taxed at the same rate in Kentucky. The effective property tax rate is roughly 0.74%, which is well below the national average. Combined with low property values, Kentucky homeowners pay a bit over $1,200 in property tax each year. Kentucky ranks as one of the lowest property tax rates in the nation, and this figure works out to around 1.67% of the property owner's assessed income level each year. Each county is responsible for setting its own tax rate, and there is some amount of variation from region to region. Campbell County, for example, charges approximately 1.15% of market value, while residents of Martin County pay only 0.49%. Oldham County currently has the highest property tax rate in the commonwealth, and they collect an average of $2,244.00 each year. This is around 0.96% of the specific property's assessed market value. If you go to the other end of the spectrum, Wolfe County collects the least property taxes each year. This amount works out to around $293.00 per property. In 2016 Louisville residents had an average assessment of $1,655. Kentucky put a few statutes in place to protect homeowners in the event that they have to file for bankruptcy due to loss of employment, divorce, death, or disability. This statute comes with several exceptions you have to be aware of as well. A debtor can set aside a specific amount that any collection agencies or mortgage companies won't be allowed to touch. In Kentucky, this homestead amount is equal to $5,000 for the actual homestead. The person can also claim up to $3,000 in personal property items in addition to the $5,000 homestead. Unlike many other states, a homeowner isn't allowed to set aside a specific amount of acreage, and they only get to have the property at its assessed value. Kentucky is a recourse state when it comes to the matter of foreclosures. However, there are stipulations to this that mortgage companies are required to follow. It also uses the judicial foreclosure process where a judge approves or disapproves of the claim. If you default on your mortgage and the mortgage company sells the property at an auction, they may not make back all of the money that was owed on the original mortgage. If this happens, the mortgage company is allowed to bring a lawsuit against the defaulted borrower, and this can result in wage garnishment, and your bank account can be levied. When you miss your first mortgage payment, the mortgage lender will attempt to contact you. If they can't reach you by phone, they'll typically start sending letters warning you of your missed payments. On top of receiving letters and phone calls from the mortgage company, you may also start getting calls from collections agencies. The mortgage lender will also issue a notice of 30-day default. By this point, you'll still be getting phone calls and letters, but the lender will transfer your mortgage file to their foreclosure or loss-mitigation department. They will also send you a Notice of Intent to Foreclose. The fourth missed payment is where the foreclosure process begins in earnest. Your mortgage file will be forwarded to a foreclosure attorney, and the attorney will send a notice. This is also the time the Sheriff department will serve you with the foreclosure paperwork. The court date is usually 20 days after the service date. If the homeowner doesn't respond formally to the foreclosure paperwork, the mortgage lender will most likely seek a default judgment. If this happens, the court will send the paperwork back to the Commissioner's office, and the Commissioner will send the notice of sale along with two appraisers to do a drive-by property inspection. A date for the Sheriff's Auction is set, and a notice is placed in the local paper for three consecutive weeks. This notice must have the date and time of the auction. Additionally, a notice of sale will be taped to the front door of the property by the Sheriff. The opening bid on the property is usually set by the lender, and the Commissioner will run the auction. The highest bidder wins the deed to the property. Once the auction is over, the homeowner must vacate the property. Kentucky allows the defaulted homeowner one final chance to keep their property. If the property sells for two-thirds less than its appraised value, the homeowner can opt to buy it back. Once the foreclosure auction is finished, the defaulted homeowner has one year to the date of the auction to pay the amount of money the highest bid ended at plus 10%. If they do this, they can repossess the property.